Are you ready to influence the future of transportation in your community? Sarasota, FL – The public is invited to join Manatee and Sarasota County and City Elected Officials, the Sarasota/Manatee Metropolitan Planning Organization, and the Florida Department of Transportation (FDOT) District 1 to begin the process of prioritizing regional transportation needs for 2045. 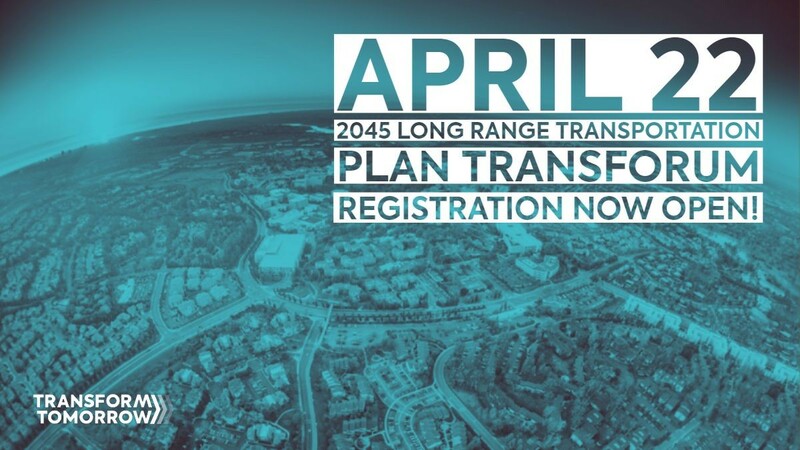 On April 22, 2019, from 8:30 to 11:30 AM, the 2045 Long Range Transportation Plan TransForum will be held at USF Sarasota-Manatee, Selby Auditorium, 8350 N. Tamiami Trail, Sarasota, FL 34243. Space is limited, please make sure to reserve your seat today. Regional transportation challenges include, reducing traffic delays so employees can get to work on time, improving public transportation, making sure it is safe to walk and bike in the region, ensuring there are safe routes to school for children, and managing stormwater and flooding on the roads. Keeping these in mind, the Sarasota/Manatee MPO uses a process that looks to the regional community to direct the 2045 Long Range Transportation Plan. The Florida Department of Transportation (FDOT), District 1, is encouraging communities to combine Land Use and Transportation planning. Following FDOT and Federal Highway Administration (FHWA) guidance, the Sarasota/Manatee Metropolitan Planning Organization (MPO) will be discussing the connection between transportation and land use at the 2045 Long Range Transportation Plan TransForum. Follow us on Facebook and Twitter, @Transform2045 and @TransformTomor1, respectively. Visit the Transform Tomorrow page regularly http://bit.ly/TransformTomorrow2045 . This webpage holds key information on previous or upcoming events, materials, maps, and other LRTP related items.